St Kilda have upset injury-plagued Hawthorn by five points in a nailbiting AFL finish on Sunday at Marvel Stadium. There was big pre-game news, with star Hawks midfielder Jaeger O'Meara failing to recover in time from his sore hip. 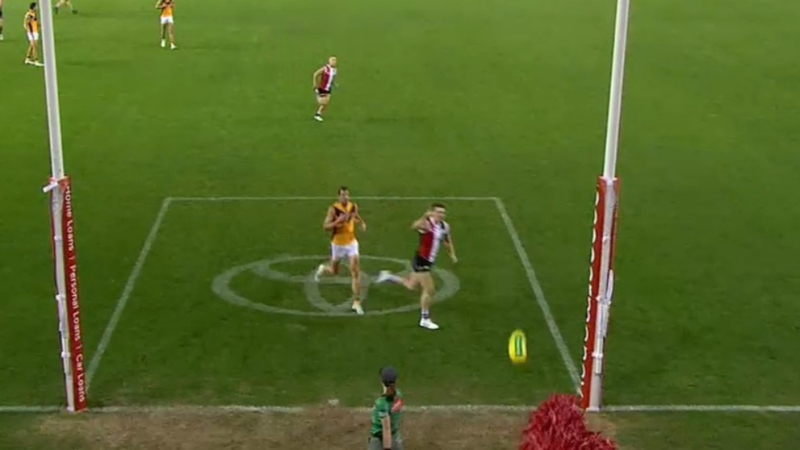 With O'Meara out, it meant the Hawks were without their top four midfielders. Adding to the injury carnage, St Kilda's Daniel McKenzie and Hawthorn captain Ben Stratton were forced off because of head knocks.